The MTD 4000 (Mettler Traction Decompression) system is an easy to use device that offers static and intermittent traction with user definable hold, rest, and treatment times. You can add full-featured light therapy capabilities to the Sys*Stim 240 by purchasing the cluster/laser applicator package. You can add full-featured laser therapy capabilities to the Sys*Stim 240 by purchasing the laser applicator package. You can add full-featured cluster light therapy capabilities to the Sys*Stim 240 by purchasing the cluster applicator package. The Sys*Stim 240 is Mettler’s most advanced two channel stimulator with light therapy featuring the M Wheel™ touch panel which simplifies parameter entry and operation. The full color display shows all treatment parameters and guides the clinician using interactive displays and protocols. 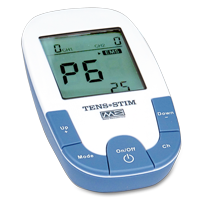 The Sys*Stim 228 is provides the flexibility to meet virtually any clinical need and has unprecedented ease of operation.